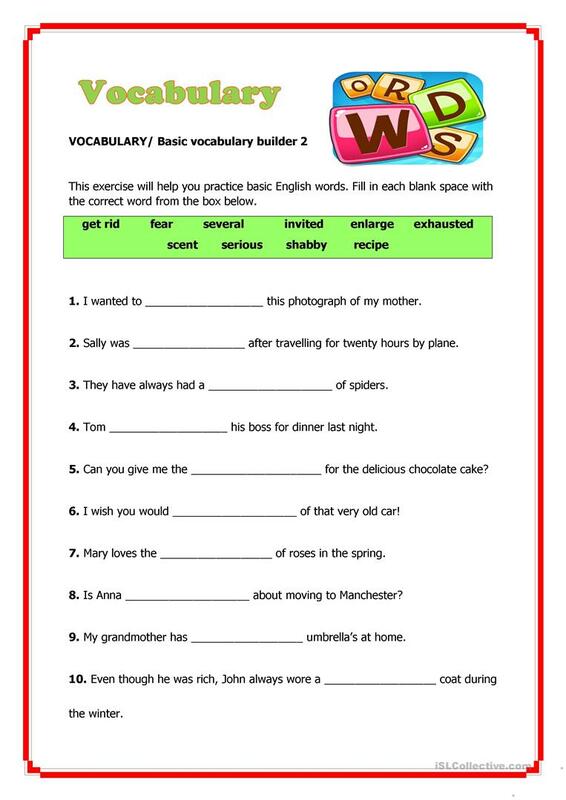 Learners will be learning the meaning of new words and then applying them correctly in the right uncompleted sentence. The words could be used as a spelling list for next lesson. The present printable, downloadable handout was created for elementary school students and adults at Elementary (A1) level. It is a valuable material for developing your pupils' Reading skills.